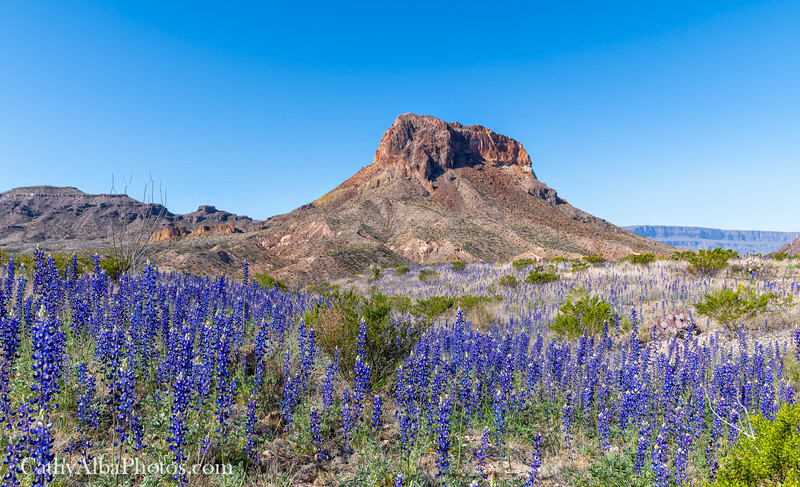 A carpet of bluebonnets below Cerro Castellan in Big Bend National Park. The Big Bend Bluebonnet (Lupinus havardii) is much taller then the rest of the bluebonnets in Texas and grow 3-4 feet tall and the bloom portion around 4-8 inches. It's amazing to see the bluebonnets in Big Bend stretch out over the rolling hills below the mountains.